Author: Rodney A. Rhoades, Ph.D. Think exercise and diet are the secrets to aging well and having a meaningful life that thrives? Think again. The new science of aging is upending many of the negative stereotypes and dogmatic beliefs about aging. New research is showing that we are not doomed by our genes, and they don’t control our biology or determine the person we can be. On the contrary, recent studies reveal that individual lifestyle, environment, attitude, and the friends we interact with play a far greater role than genetics in determining how well we age and who thrives in later life. This new research also confirms the power behind the mind-body-spirit connection and how a balance between the three draws on our deep, inner healing power and optimizes our well-being. 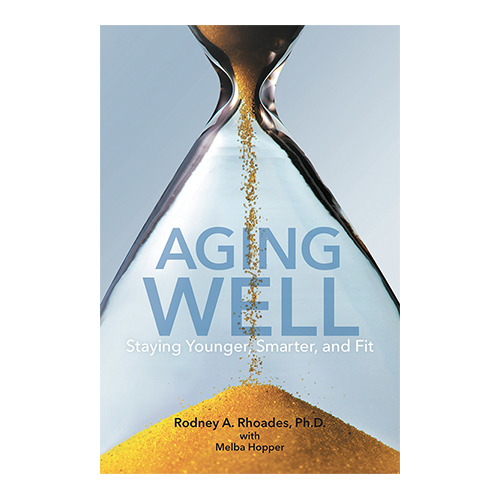 Aging Well will help you understand the science behind these new ideas from an emotional, mental, and spiritual perspective. You can also explore how to increase the odds of having a happier, healthier, and more fulfilling life in your later years.